Located in the picturesque village of Schengen, the Domaine "Thill "was formerly a family-owned estate created more than 80 years ago. It is now managed by the "Caves Bernard Massard” but has kept the authentic character of the terroirs around Schengen. 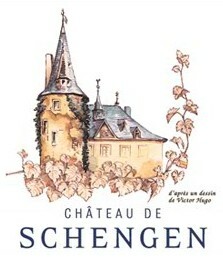 A major part of the vineyards now owned by the Domaine was bought from the previous owners of Château de Schengen, after World War II. The original label figures a drawing of the château by Victor Hugo.